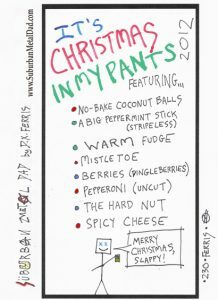 What’s in YOUR pants this Christmas? Tell us in the comments section. Thanks for reading!